*Please note a preregistration is required for all students enrolling in this course. If you do not have your code, please visit the Colorado DMV online services to obtain one. For detailed instructions on how to obtain your preregistration code, click here: Preregistration Instructions. This self-paced, award-winning program was voted #1 throughout the United States & Canada for its content rich instruction. The most valuable defensive and evasive skills available for dealing with today’s hazards in the real world. All of this will be done at the pace of each individual driver, with the flexibility of scheduling around their academic and athletic schedules. 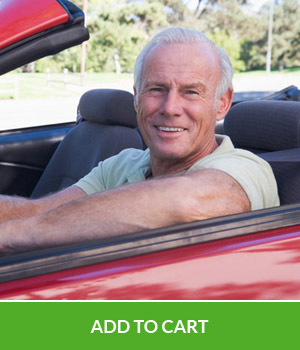 Sign up today through our Easy Pay site, or call one of our locations to enroll your driver now. Beginning May 5th, the DMV requires that any applicant taking a Written or Driving exam must present a pre-registration code. You will apply for this code at: mydmv.colorado.gov. These classes are held in-house on Saturdays for teens who wish to obtain their learner’s permit. In Colorado, an applicant seeking a learner’s permit has the option of completing this 4-hour driver awareness program in place of a full driver education program. Immediately following each power-packed class, your child will take the Colorado State Written exam while everything is fresh in their minds. We also discuss the hazards of texting and driving, drinking and driving, and the dangers of road rage. Your teen will step away from this class with a new appreciation for the world they are about to enter on the roads in and outside of Denver. We do not teach your driver to drive through cones for days. We teach on the road in real conditions, everything from neighborhoods and back streets to the major interstate systems around Denver. Our Behind the Wheel instruction is the best in town. All lessons are administered in our specially-equipped vehicles with only one-on-one tutoring. We cover all types of driving conditions, from the mountains to the downtown area, learning one-way streets, double and triple turns, parallel parking, & parking lots. We aren’t afraid of taking your driver through a bit of inclement weather. This is Colorado, and we want to teach your kids how to drive here. 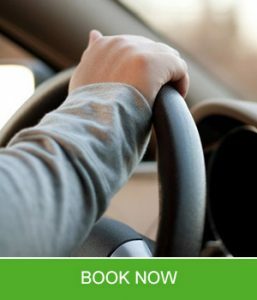 *Please call 303-922-1000 to schedule and pay for our behind the wheel classes. 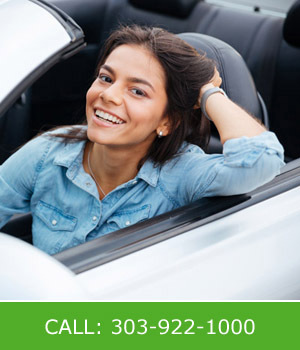 If you’re over 18 and learning to drive, we have a program for you as well! We see people from all over the world come through our doors at Mile High Driver Training. Some of these drivers have never had to drive, but now that they live in Colorado it becomes a necessity. No worries! Our experienced personnel will customize sessions for you. With a combination of short classroom discussions combined with behind the wheel practice in our vehicles you’ll be able to get around town just like anyone else. Our entire team at Mile High Driver Training is highly-educated in all areas of driver education and safety, and promise to provide professionalism, safety and patience in every step of the learning process. Our state-certified Behind The Wheel instructors are ranked among the very best in Colorado.